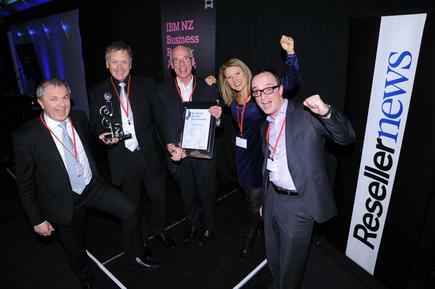 Certus Solutions was the Supreme Winner in the sixth IBM NZ Business Partner Awards. The partner won based on a project integrating IBM Maximo Spatial Asset Management with GIS. Westpower, a Greymouth-based electricity distribution business, uses a GIS solution to help manage its physical infrastructure, such as power poles and lines. The challenge was to integrate data from ‘a multitude of disparate sources’ that were not integrated with data coming in from field crews, held in manually-recorded notes and work orders, in various formats without any standardisation. The other source of data was its ArcGIS spatial database. Westpower selected Certus in a competitive bid process to provide Maximo Spatial Asset Management software and professional services. The project called for Certus and Westpower to correct data for accuracy, standardise the characteristics, add metadata to help users evaluate which data sets can be successfully combined, and finally code the asset data to match the location to the asset. The labour- and time-intensive operation was a first in New Zealand. No other organisation had attempted to combine these two software solutions here. The successful implementation turned into an on-going project, with Westpower and Certus sharing their IP with Transpower and other utilities. Certus was recognised for this project at the Sixth IBM Business Partner Awards event in Auckland on October 18.